Soledad Mexia, 114; oldest person born in Mexico died in Calif.
Ms. Mexia didn’t have a special diet. ‘‘But there was no junk food,” her granddaughter said. 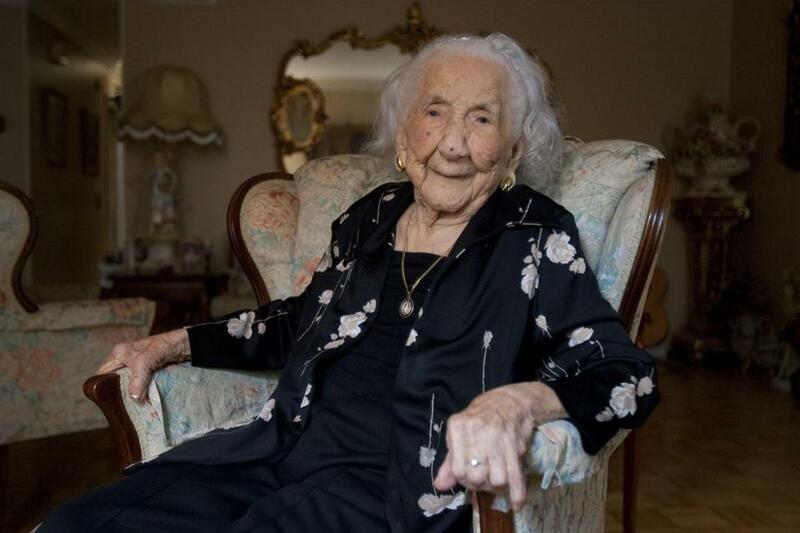 LOS ANGELES — The oldest person born in Mexico, who also was California’s oldest resident, has died in a hospice in Chula Vista, Calif., just 17 days after celebrating her 114th birthday. Soledad Mexia died Friday at Silverado Senior Living Hospice, said Dr. Stephen Coles of the Gerontology Research Group at the University of California Los Angeles. Ms. Mexia was born in Mexico but moved to the United States when she was very young and became a US citizen, Coles said. Her granddaughter, Rosalia Ferreira of San Diego, said Ms. Mexia loved to sleep. ‘‘She would go to bed at 9 or 10 and not wake until 12 or 1 the next day,’’ Ferreira said. Ms. Mexia was a housewife most of her life, never working outside the home. She did not follow any special diet. The Gerontology Research Group is an organization of physicians, scientists, and engineers who validate supercentenarians, people 110 or older. The world’s oldest living person, Misao Okawa of Japan, is 115, Coles said. The next three oldest people are from Michigan, New York, and Massachusetts. They are all 114, Coles said. Ms. Mexia was the fifth-oldest when she died.